A record-breaking eight African-American women earned doctorates in education simultaneously this year at Indiana University. Dubbed, the “Great Eight” the women credit their success in part to the “sister circle” support group they created. They started the group after discussing the lack of institutional support for black women in education, according to an article by Inside Higher Education. Creating a community to discuss challenges and collaborate sounded familiar to us. While we don’t call it a “sister circle,” MESA students get the extra support to help them succeed through a close, community environment. 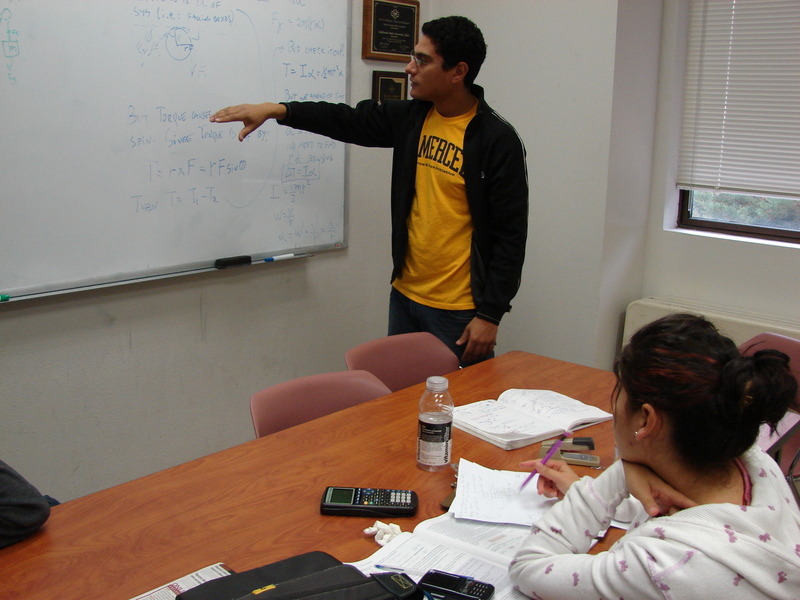 Community college and university-level MESA students are clustered to attend the same core math and science classes so they can learn, fail and achieve together. They grow through the ranks of rigorous majors with a collaborative foundation. Students also attend academic excellence workshops, which reinforce the the technical concepts taught in class as a collective group. The last key ingredient is the MESA student study center. This dedicated multipurpose space is the hub for study, workshops, special activities and information sharing. It is an important element in building a close learning community. All these pieces build a strong community environment that have served MESA students in gaining educational success for more than 45 years. That’s why the “Great Eight’s” approach make a lot of sense to the MESA family. A family is what it takes to create a strong, supportive and successful road to graduation.